Just like everyday laws you know and abide by, mattress regulations are just as vital. You may not think mattress laws and regulations are all that important, but, as a mattress owner, knowing their ins and outs is crucial for personal safety. And just like everyday laws you know and abide by, having that knowledge on hand can make your life all that much easier. We’ve compiled together information on mattress laws that will help you safely use and enjoy your mattress. Law Label: What Is It? If you’ve ever seen that strip of paper sticking off of your mattress, that’s the law label. In straightforward terms, the label gives you all of the necessary information of your mattress, such as filling materials, manufacturing information, and contents. Used and rebuilt mattresses can usually be identified by red or yellow labels affixed to them. These labels are required by law to be attached before they can be resold. For mattresses that are brand new, they are required to have a white tag identifying new materials used in the manufacturing process. If any recycled or reused materials were used in making the mattress, then the tag must explicitly say this. Is It Illegal to Remove Tags from My Mattress? Mattress tags go way back, as far as the late 1800s. Before there were any kinds of mattress regulations, manufacturers got away with all kinds of shady business practices, like reusing old bedding for mattresses marketed as brand new. This led to all sorts of issues like the spread of disease, bacteria, bed bugs, and so on coming from reusing old bedding. Lawmakers soon grew wise to this and took action. They introduced tags to curb the spread of disease and filth, which required manufacturers to list the materials of the mattress. Such an important label for consumer well-being meant that manufacturers by law could not remove the tag, which gave us the famous tagline as we know it, effectively stopping the practice of selling used mattresses as used. Of course, the application of mattress laws varies from state to state, but federal law mandates that any and all mattresses are required to have these labels intact on sale. If you’re in the market to sell your used mattress, there are a few things you should know. First off, there are laws regarding conditions your mattress should follow before reselling, such as cleaning and sanitation, re-covering, and flammability of your mattress. These laws will differ depending on the state you’re in, so be sure to do your research. 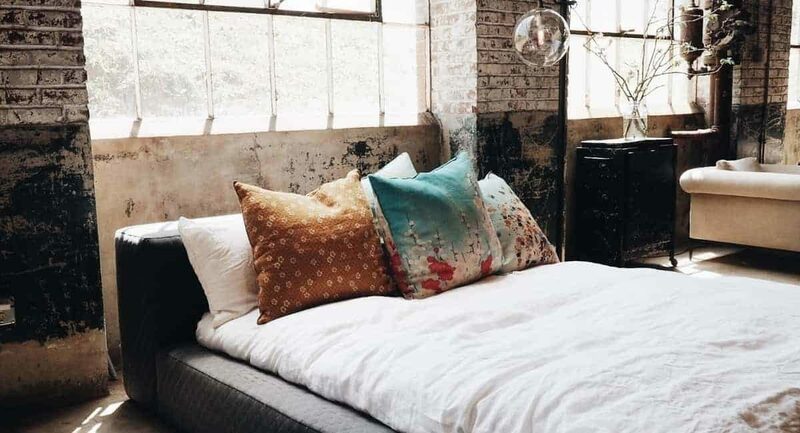 Laws regarding re-covering vary from state to state, as some states will only allow you to sell your used mattress if it’s fitted with new cover ticking. Some other states, on the other hand, prohibit this practice, as re-covering can hide mattress flaws like damage, stains, and so on. For flammability, federal law dictates that your mattress is within standards set by the U.S. Consumer Product Safety Commission (CPSC), 16 CFR Part 1633. These standards are important, as they keep mattress fires contained and curb fire from spreading. The guidelines set specify that mattress materials should not surpass 200-kW peak heat during the first 30 minutes of official safety tests. The manufacturer of your mattress and the CPSC will know the flammability of your mattress, if you’re ever unsure. So be sure to contact either one before reselling, so as to get updated and accurate information. Mattress cleaning also depends on your state, as some require that all second-hand mattresses must be cleaned completely before a sale. The easiest and most convenient way to do this is either through a professional steam clean or chemical treatment service of your choice. Can My Warranty Be Transferred? Unfortunately, warranties do not transfer over to a new owner, even if it’s still in-date. Be sure to bring this up with any new buyers, as they might want a mattress warranty. How Do I Recycle My Mattress? There are rules and regulations when it comes to mattress recycling, and anyone looking to recycle theirs must follow them. Usually, you can find a mattress recycling center nearest to you by searching online. Prices for recycling run from $10 to $20 if you choose this route, or up to double if you pay for a collection service. You can also have your local sanitation department or waste collection take your mattress off your hands, as they have the means for handling larger objects.